In a swirl of sobering questions about the Constitution and the rule of law, many Republicans are asking simply: Why now? Why?! Republicans around town, and even some White House officials, tell me they're baffled by President Trump's decision to fire FBI Director James Comey in the middle of his Russia investigation — and with the explanation that it's because of his handling of Hillary's email, which Trump had praised him for in the past. "They just barely got the tiniest bit of momentum going after the House health care bill, and now it's like the engine has fallen out of the car," said an outside adviser to the West Wing. "The Russia thing will now go on forever. And the rationale in the letter was preposterous. This was a tremendous miscalculation." Even some White House officials believe that the likely result will be a special counsel, which Democrats are now pushing nearly in unison. AP reports that Senate Democratic Leader Chuck Schumer said last night that he told Trump in a phone conversation "[Y]ou are making a big mistake." The firing increases scrutiny of the feds' Russia probe, and will make Democrats even more aggressive with their investigation. 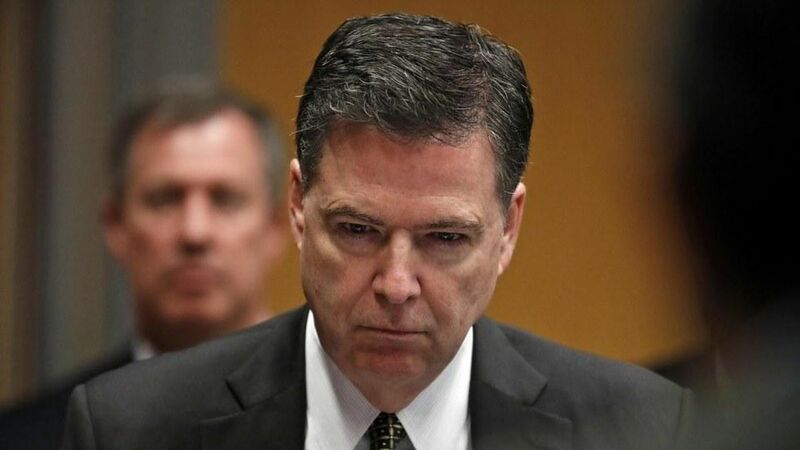 Comey, who's 6 foot 8, literally and psychically towered over so many national dramas of the past decade, and is accused by Democrats of tipping the presidential election. Adding to GOP bewilderment, the announcement came 10 days before Trump leaves on his first foreign trip, to centers of three great religions — Saudi Arabia, Israel and Rome. Trump has said he hopes the trip will begin to "construct a new foundation of cooperation and support with our Muslim allies." "That's the kind of thing that changes history and the trajectory of a presidency — a permanent legacy," the adviser said. "The timing of this is all bad for Trump." Matt Miller, a former Justice Department spokesman under President Obama, said everyone he talked to at Main Justice last night was in shock. Miller said it was clear internally that the White House didn't trust Comey, and couldn't control him. "This makes no sense in the short term," Miller said. "But if the long-term threat is the survival of the administration itself, then you take the short-term risk." P.S. Trump on Comey, at a campaign rally on Oct. 31, after the FBI director sent a letter to Congress saying he was reopening the Clinton email probe: "It took a lot of guts. I really disagreed with him. I was not his fan. But I'll tell you what he did, he brought back his reputation. He brought it back. He's got to hang tough because there's ... a lot of people want him to do the wrong thing. What he did was the right thing."